Have you ever wondered? Just what happens to reviewers who stop reviewing? I have. I pictured some sort of old gentlemen's club. Everybody talks over one another, remembering hard just how much better things used to be, paying little to no attention to the music playing. Then I realized how this described the majority of all audio shows I'd attended over the years. Ooops. Thankfully, things did not go as gloomy for me when I ended up taking a two-year sabbatical in my reviewing functions. This came due to relocating to a house without a dedicated music room; and a simply insane work schedule which barely gave me time to see my kids, let alone listen to music. 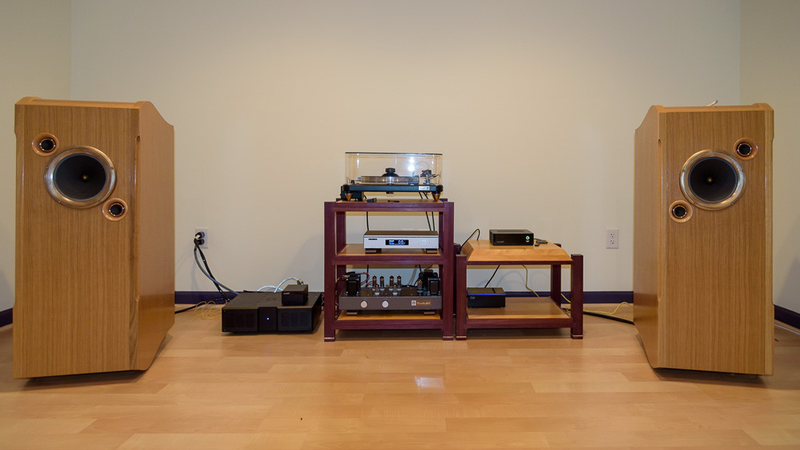 When—after having reviewed for about six years to be used to equipment transiting through your system on a regular basis—you find yourself in just such a situation, the one question which keeps coming to the fore is this: just what gear to keep or purchase when you are listening just for pleasure? For me, some of that was obvious. The Ocellia speakers, although large and extremely fragile to move, had to be part of this system. Once you have heard them, it is hard to forget them. They may not meet everybody’s needs. They don’t do massive bass. They don’t do brutal macro dynamics. But what they do in the midrange, the realism of tone those high-efficiency PHY drivers offer, is second to none. So they were voted in without hesitation. Cables were easy too. Ocellia and Absolute Fidelity are the most free-flowing uncoloured cables I have tried over the years. They are expensive, worth it and complement my system perfectly. A few Zu cables are along for the ride as well. I needed well-shielded cables for the turntable but without the dulling effect I usually hear from massively shielded cables. The now discontinued original Zu Varial remains a favourite in that category. Sources and amplifiers? That's where my dilemmas began. The Ocellia midrange loves tubes yet their bass gets looser with most SET amps I tried (the exception being Ocellia’s own 300B SET which was way out of my price range). Thus I decided to split the difference two ways. 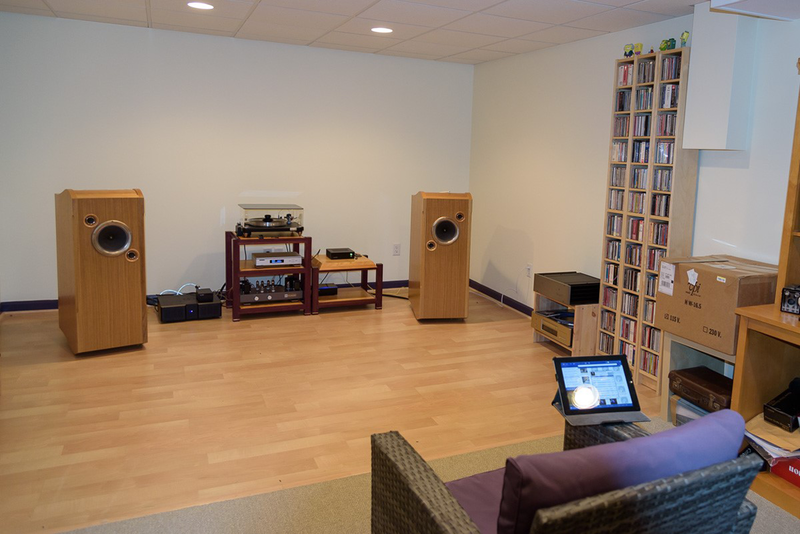 What about keeping a solid-state amplifier with a good dose of tube-like qualities, the Firstwatt F5, and a triode amplifier with better-than-average bass control, the Triode Lab EL84TT? In all fairness, on transistor turf a Firstwatt F6 or J2 would probably be even better Ocellia matches but their slight potential gain did not feel worth the climb. It is amazing how the relative importance of things evolves when one is not trying to look for minute differences to write about. If the music is good enough, it's good enough. I must confess that 80% of my listening now is done with the EL84TT. In the end, tonal richness matters more to my enjoyment than the last bit of control or dynamics. What should be striking though is that a $2'400 integrated became my reference to drive $30'000 speakers and does quite a superb job of it. And yes, I do know many amps which would do even better but they all cost two to three times as much. One critical upgrade tipped the EL84TT over the edge and made it my favorite go-to amp for the Ocellia. Six months ago I completely retubed with Genalex Gold Lion. Four matched EL84, two 12AX7 small signal tubes with gold pins and one GZ34 rectifier lightened my wallet by a mere $250 and took the EL84TT to a different level of greatness. Its upper midrange opened up without any sign of strain, bass tightened up and whatever minimal noise was initially present went bye-bye. Best $250 upgrade ever, with gorgeous tones to boot. That really got me to thinking. It drove me to explore what other components could present interesting synergies which might deliver value significantly beyond their price when considered as a system. One such combination I stumbled upon more by chance than keen insight. 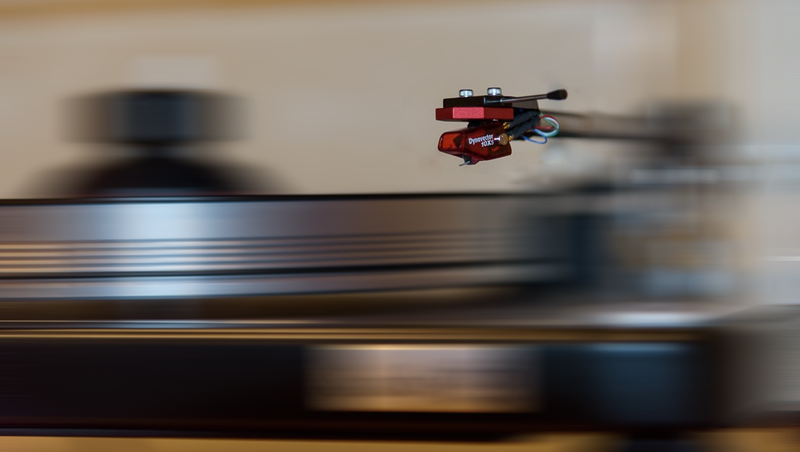 The VPI Scout has long been a proven reference as an entry-level turntable and rightly so. It bought me solid performance, great dynamics and good resolving power below two grand. 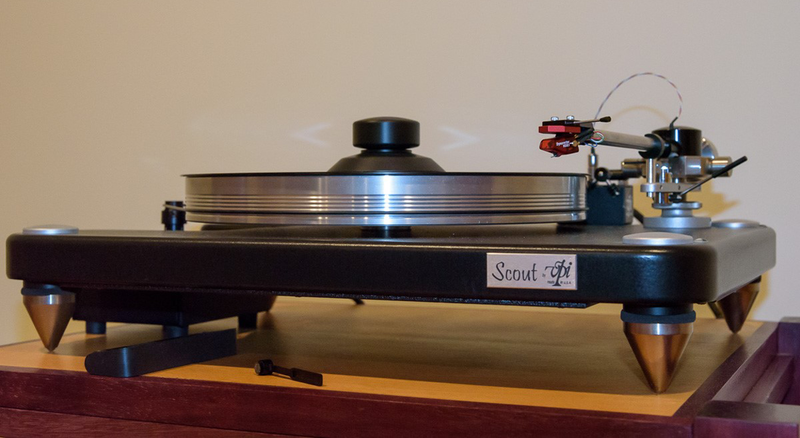 A few years back, VPI upgraded the Scout to 2.0 status but made no big fuss about it which they probably should have. 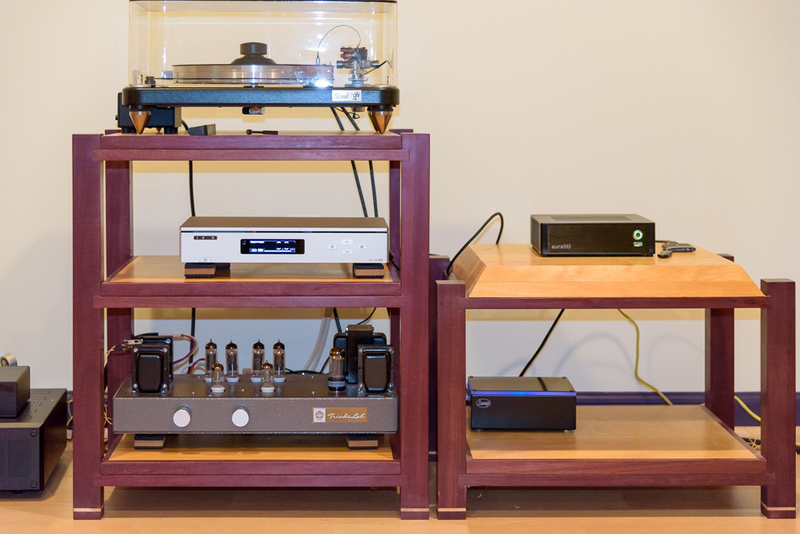 They incorporated a lot of learnt lessons and designs from the acclaimed Classic series but kept the plinth simpler and the feet less fancy to leave the cost about 25% below a Classic 1 table and without meaningful differences I could hear when I had a chance to listen to both side by side. There was but a slight bass difference in the test system but that would have been irrelevant with the Ocellia so I ignored it. When investing in a $2'000 turntable, one feels compelled to give it a somewhat fancy cartridge, usually a moving coil which requires an equally fancy phono preamp to handle the extremely low signal coming from an MC cartridge. Or, one keeps it simple and looks for a perfectly matched moving magnet cartridge that will mate just fine with a far simpler MM preamp that'll often be every bit as good. For me that became the Dynavector 10X5 Mk4. 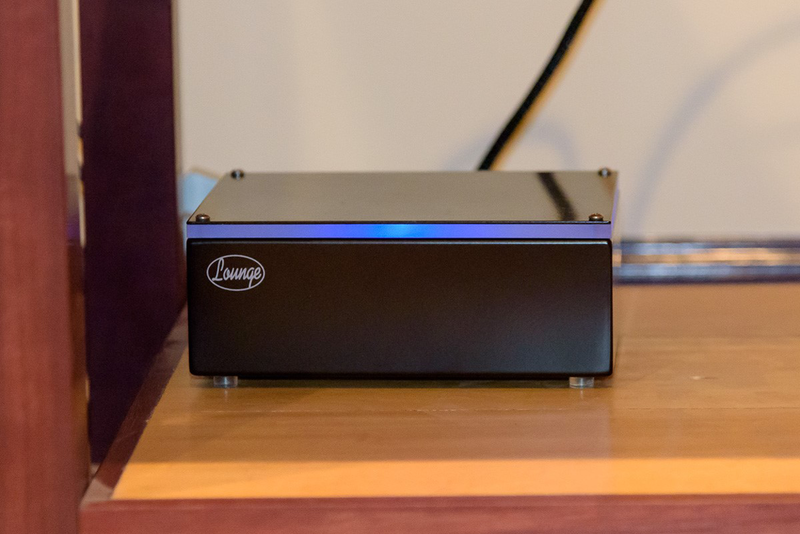 This $500 cartridge is bold, dynamic and offers great transparency on par with equivalently priced MC pickups, especially when coupled with the right phono preamp. Enter the absolutely unknown but truly outstanding Lounge Audio MM phono preamp. At $300, this simple little box is a killer or in 6moons lingo, a shoe-in for a Realsization Award if ever I saw one. It only accommodates MM cartridges, offers no adjustments, runs off an external AC converter. You can’t get easier, cheaper or better for $300. The midrange is wide open without glare, imaging is large and deep, macro dynamics and bass reach are probably the two areas where one may identify the more modest origins of the Lounge. Even there, you would need to compare directly with the likes of the Esoteric E03 (which I did prior to selling off the E03 and keeping the Lounge). If you need a phono preamp for a moving magnet cartridge, do yourself a favour, grab one of these. It's that good. Listening to the Lounge in comparison to the Clearaudio Nano, there was no contest. The Nano was knocked out and bloodied for being slower, less extended, less dynamic, less resolved and simply less involving to listen to. Being committed now to my 'keep it real' adventure of coming up with unique gear combinations that deliver off-the-charts value, I eventually decided to tackle my digital front end of Burson Conductor and Mac Mini with Audirvana. My 2011 Mini was starting to show its age with slow start-ups and very long 'hang times' without warning. Even after running the disk utility doctor to fix all registries, performance was declining. At the same time another OSX upgrade suddenly had Audirvana misbehave with the Burson’s USB input, yielding very distorted sound. I was faced with the need to buy the new Audirvana version which would hopefully be more compatible with the newer OSX (not a very big investment but not a wise one either in the context of a failing computer). Before hitting the online 'buy' button for a new fully loaded Mini, I decided on a little research. This netted many reports where the Mini did not fare well in direct comparisons. 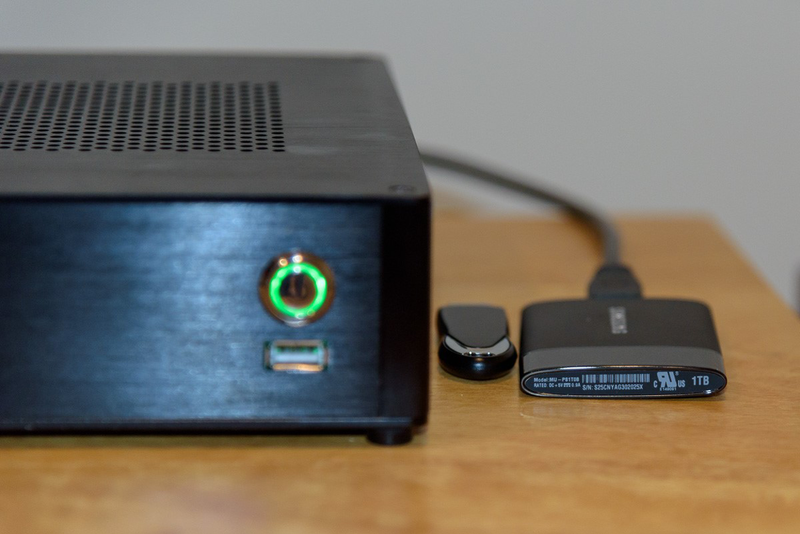 Piecing together Internet reports and reviews with my own observations, I grew convinced that for some reason the Mac Mini is more of a hit-or-miss than the iMac when it comes to sonic performance. This also explains why it is the prime target for all after-market modders. The prospect of spending $3'000 on an iMac or close to that on an enhanced Mini did not enchant me, especially since it would not address the need to always keep ahead of software upgrades and potential program incompatibilities. Without yet realizing it, I had grown ripe for another option. More online research followed. It is amazing how useful those Internet reviewers can be if one takes the time to sort through all the noise. This yielded two interesting trends. The first one was that all reviews of seriously designed music servers and file players yielded at least one neutral verdict and many pointed to some level of improvement over computers and disc spinners, something well aligned with my own experience. The second less obvious trend was that almost every single newcomer in the $2'500 - $3'500 range chose to measure itself against the sub-$1'000 Auraliti file player. Of course in many cases a small element of superiority was identified in favour of the dearer model. But here was the key. The advantage was small and none of those network players took on each other. Instead they seemed to insist that the benchmark to beat was a much cheaper piece which I'd never heard of. So of course I had to buy one. If it is a third of the price of anything else, not particularly well known but the reference all other brands are trying to beat, it had to be pretty amazing. At least that was my logic. 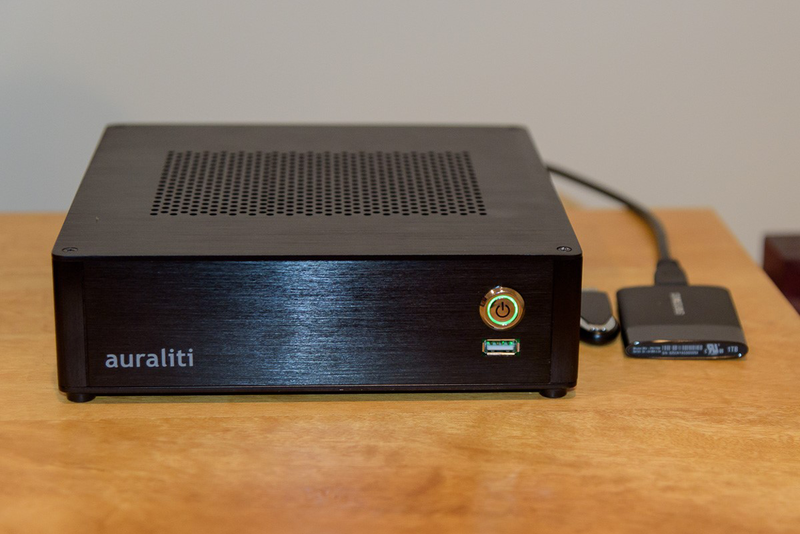 And so came the Auraliti PK90, purchased online for $1'399 with its optional linear power supply. I won’t go into further detail because I intend to write up a separate review of the PK90 and its new playmate, the SOtM sDP-1000EX. Needless to say, this pairing operates at levels of performance which put my previous front-end to shame. The Auraliti is not for everybody though. It is a little less turn-key than others without being geeky in any way; and offers fewer convenience functions than a Bryston digital player or SOtM’s own music server. But at less than half their price, it sure can sing so stay tuned!